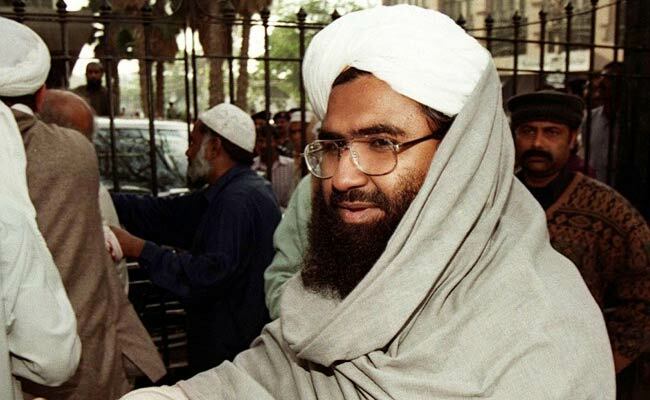 It’s not a big surprise for any strategist that China has blocked the bid to have Jaish-e-Mohammed chief Masood Azhar designated a global terrorist for the fourth time. China has repeated the old story of putting "technical hold" on the proposal asking for more time. The proposal to designate Azhar under the 1267 Al Qaeda Sanctions Committee of the UN Security Council was moved by France, the UK and the US on February 27, days after the fidayeen attack of the Jaish-e-Mohammed (JeM) which killed 44 CRPF soldiers in Pulwama, leading to Indian air strike on Balakot terror camp in Pakistan and resultant air engagement. How does it Matter for India? If the proposal was accepted, it would have amounted to freeze on JeM assets, future funding and travel ban on Maulana Masood Azhar. Realistically none of these measures would have affected the terror activities of JeM, which has earlier been declared as US designated terror organization. The funding through unauthorized route is business as usual by attaching any of its members with any nominated social welfare organization and the fund flow could have been regulated through it. Freezing of asset also could have been faked by taking over one small house. Maulana Masood Azhar being sick and most secure inside Pakistan may not be keen to travel outside anyway, because he would have been most vulnerable outside. In nutshell India has to continue dealing with terror activities of JeM with or without the imposition of the UNSC ban. India has to show the resolve to deal with JeM itself, for which it has all the options (Overt as well as Covert) are on the table. The UNSC ban on Azhar was thus a symbolic exercise which must continue with similar zeal to rebuild the diplomatic pressure after six months, when it can be reconsidered because naming and shaming in UN platform has its own importance. Chinese considerations to my mind in blocking the ban are governed by its own perceived national interest, which is not a surprise. China has to protect its economic investment in CPEC including its safe future operation and safety of over 5000 workers from terrorist groups, which are controlled by Pakistan Army and ISI and JeM happens to be one of them. China also wants to retain leverage in terms of Maulana Masood Azhar against India for opposing CPEC and BRI. It also proves the all weather friendship with Pakistan, which is milking China with its profitable terror industry. There seems to be an understanding with Pakistan for not training ETIM terrorists causing trouble in restive Xinjiang province of China and a promise to look the other way, when Chinese cause atrocities on Uighurs (Muslims brothering). In any case, Pakistan’s relation with China is that of a client state being protected by the patron. China was also not too happy with Indian resolve exhibited in air strikes at Balakot, but could not do anything about it. This decision of China is marred with some risks as well. China after this action remains isolated with Pakistan on the issue of terrorism and does not project itself as a world power in making by this petty politics. While China may disregard the world opinion for the time being, but if it faces a terror attack in its heartland, it may find itself in tight spot with nobody on its side. Pakistan is host to 131 UN designated terror organizations but all the terrorist groups are not under control of Pakistan Army/ISI. In fact most of the terrorist groups are not too happy with Chinese influence and people in Pakistan but seem to be tolerating them in exchange of money, an arrangement which may not last very long. It has also pushed India few notches closer to the western world, risking a promising Indian market, not realizing the national sentiments post Pulwama attack. China has acted against the Indian interest which is rather disappointing especially not in line with Wuhan Summit spirit and understanding. India has every reason to target JeM and other militant groups in the manner it feels appropriate. India should not hesitate in openly supporting Baluchi cause and give asylum to their leaders, if they ask for it. In fact it could consider allowing them Government in exile, should they request for it. India should also show pro-activism in POK and Gilgit-Baltistan by filling their seats in Lok-Sabha and Rajya Sabha and start acting to represent them by giving them a voice and oath of Indian Union. We should not shy away from giving asylum to Rubiya Kader should she ask for it. We need to work with US, other western powers and Japan towards robust policy towards Indo- Pacific region including South China Sea. We need to engage with Taiwan more intimately for trade and look at ‘One China Policy’ as corollary of ‘One India Policy’ including entire Jammu and Kashmir. We need to coordinate counter terror operations with neighbors of Pakistan suffering from its proxy war like Afghanistan and Iran. We should not shy away from giving arms to some of the neighbors like Vietnam asking for it. India could also join other countries in looking at human right abuses in Xinjiang. It seems evident that by blocking the bid to have Jaish-e-Mohammed chief Maulana Masood Azhar designated a global terrorist China has much more to lose than India, despite it being business as usual for Pakistan. India has to continue with policy of offensive defence with all options to get rid of the terrorists emanating from Pakistan soil and creating problems for people of India. India needs to develop capacity for the same; hence start with steps to enhance its ‘Comprehensive National Power’ (CNP) because China and Pakistan will respect only the CNP of India. In the interim robust strategic partnerships will have to be developed with like minded nations.